Has thought about blogging as a way to build your business, but don't know what to write about? Tried blogging – but maybe haven't published one in a few years? Writes a regular blog, but it’s not bringing you any business? 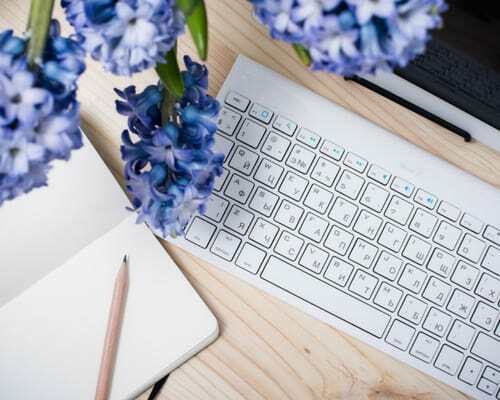 It’s become clear that blogging is a vital part of how many businesses reach out to and connect with potential customers. We see this in an inbound marketing study by Hubspot, which found that 57% of companies who have a blog reported acquiring a customer from their blog. The same study found that 81% of businesses say that their blog is “useful” to “critical” for their business. What issues are my ideal customers experiencing that I can assist them with? What new opportunities or problems are they facing? What don’t they know how to do, that I can instruct them about? Then, wrap your blog around those themes. What are your ideal customer’s most critical concerns? To do that, start by thinking of the people you most want to serve. This involves creating a “persona” of your ideal customer or client. If you don't have a clear image in your mind yet, it’s a worthwhile exercise. Think of this person’s age, gender, occupation, income, place of residence, and other factors. Maybe give this person a name. With your persona firmly in mind, you can get an idea of their concerns and issues so that you can focus your blog topics at their burning issues. To see how this works, let’s imagine a home-based consulting engineer called “Juanita,” who jumped off the corporate ladder to start her own business. Juanita helps small businesses reduce their energy consumption – to be more environmentally friendly, to cut costs, and to become an employer of choice for highly-skilled professionals. Juanita has developed a profile of her ideal customer, and calls him “Cameron.” She sees Cameron as the owner of a small company – he wants to run his business in an ethical way, but he’s more concerned about keeping costs under control, and attracting and keeping key staff. So even if Juanita is strongly motivated by the desire to reduce pollution and the environmental footprint of her clients, blog posts on those topics probably wouldn’t get much interest from Cameron. He’d be more interested in what Juanita has to say about how he can find the places where he’s wasting energy – like insulation and weather stripping. Since attracting star talent is also a big concern for Cameron, he wants to know how he can demonstrate his energy stewardship commitment in concrete terms. From this example, you can see that your blog may not help you build your business if you focus just on topics that are of interest to you or that solve issues you think your customers should care about. Rather, focus your blog on their real issues and concerns. “Narrowcast newsjacking” as a way to pick winning blog topics. To find out what your customers’ burning issues are, look at the world through their eyes. Like anyone, your customers are concerned about what might hurt them or help them. They’re particularly interested in new developments – new problems, so they’re not caught unprepared, or opportunities they didn’t find out about until it was too late. Potential customers will be searching for information about how the news development affects them. Blog posts that contain key search terms that are newsworthy tend to rise higher in online search results. Blogging about news events shows that you are up-to-date with the issues that affect the people you want to serve. Rank your blog posts higher in searches because news analysis on these topics will be scarce. Show your current and prospective customers that you understand their world. Depict you as someone who cares about helping your clients with issues that affect them. To see how this might work for Juanita, let’s say the state government created a new program to provide financing for energy-saving programs. It’s providing grants to companies who demonstrate the steps they take to reduce their energy consumption. Most news outlets would not provide much, if any, coverage of this program, so it’s not likely that Cameron will learn about it through the mainstream media. Even if he does hear about it, he may brush the program aside as not being worth the effort. But if Juanita thinks that this program will be useful for entrepreneurs like Cameron, she can grow her business by developing blog posts about it. She can talk about the reasons for the program, who’s eligible, what steps are needed to apply, and how to succeed in a funding application. If she makes her blog posts practical and useful, she can show potential customers like Cameron that she can help him succeed. Some of this involves what the military might call “human intelligence” – simply talking with people in your market about what’s affecting them. You can also scan the industry and professional publications that affect your market, to see what’s new. Set up alerts for your social media feed to be sure you know about news that will affect your clients. In my days as a reporter, I’d often place calls to sources I’d like to interview for a news story and wait for those people to call me back. I’d write the story based on information from the people I was able to interview before my deadline. Then, sometimes a few days later, some of the people I’d placed calls to would finally get back to me – and they were surprised when I told them that the article had already been written and published. News is only news for a limited time. This means that if you’re to provide your clients with the information they can use, you need to make a commitment to creating content when the news is fresh. 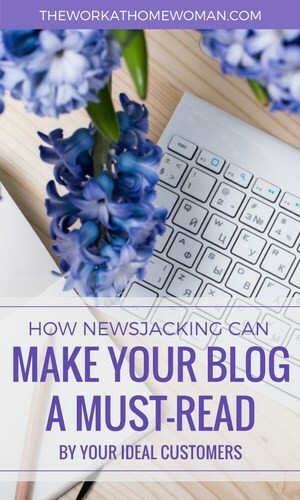 Sometimes that’s not a matter of hours as it is with the daily newspaper I worked on – it’s more like days or weeks – but if having a successful blog is important to you, you need to commit to creating content when the news happens. What’s the news? Describe the news event, taking into consideration the level of knowledge of your potential customers. Why does it matter? Explain the implications for the people you want to reach – how the news can either harm or help them. What’s going to happen? Give your analysis, based on your expert opinion, on how events will unfold. So what do I do? Make your recommendations on how the reader – your “Cameron” – can either avoid problems stemming from the news event or access opportunities. You can find more information about narrowcast newsjacking here. Carl Friesen, MBA, is Founder of Thought Leadership Resources, which helps business professionals show themselves as subject-matter experts in their field. He has a background in journalism, sales, and professional services marketing, with experience in KPMG and the global engineering firm Golder Associates. He is the author of five books on thought leadership marketing. To learn more about how you can reach potential clients through thought leadership content, visit the Thought Leadership Resources website.